Based on reactions of Shia leadership, Crocker says Ashoura attacks will not lead to strife. This week’s Ashoura bombings, which killed 59 Shia worshippers in Afghanistan, will not lead to a cycle of Shia-Sunni sectarian violence in Afghanistan, the US ambassador to Kabul has said. 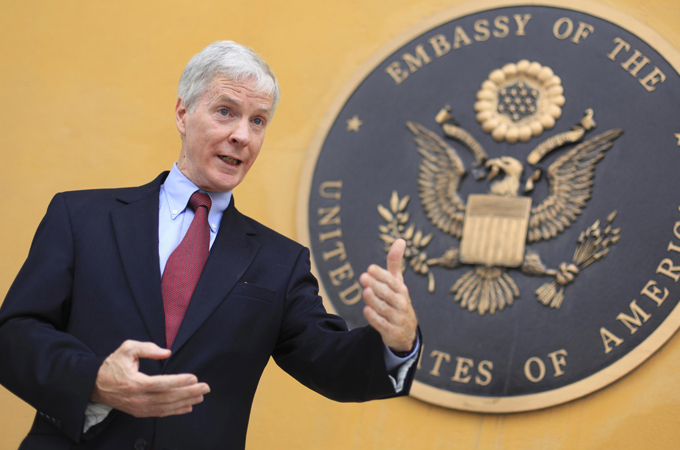 Saturday’s comments by Ryan Crocker, the US ambassador, come after a week of fears that the bombings in Kabul and Mazar-e-Sharif would turn Afghanistan into Iraq or neighbouring Pakistan where sectarian violence has historically been much more common.